The makers of RPG Title Pack together with the community have joined forces to organize a bi-weekly Beta Night! Every second Saturday we gather to try out new exciting projects from familiar faces and new aspiring mappers at Ziza's Pub server. Everyone is welcomed! Thanks to everyone who joined at opening of beta nights, it was very interesting for me and i hope for you too. 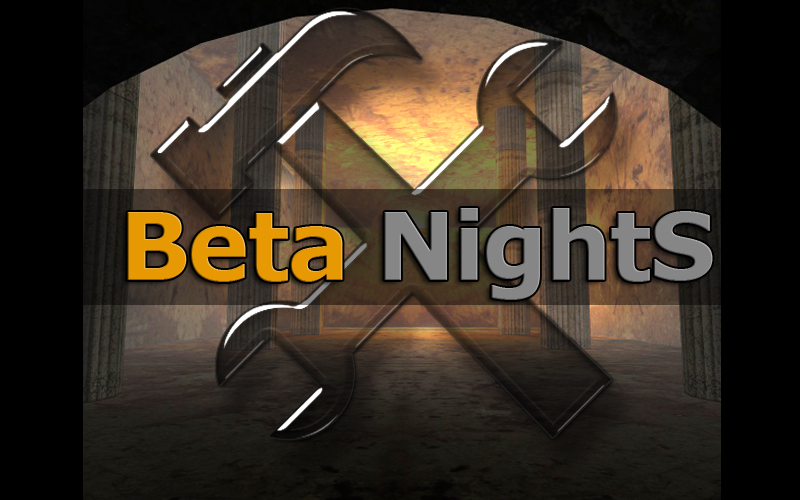 Next beta night is going to be held at 4.4.2015. There has been little change in the rules, the only way to have your map tested is to send Mx id to some of the server admins during the event. You better have some maps or ELSE.